VanDerWaals, the premier handbag company that combines fashion, function and technology all in one bag launched its e-commerce through www.Van-Der-Waals.com last April 2015. Made from the finest premium leather and materials, each VanDerWaals handbag is carefully constructed to give women the opportunity to express themselves as never before. Inspired by the human desire for self-expression, the creators of VanDerWaals have built an accessory with capabilities previously unseen in a handbag. Using patented technologies, they developed an app-enabled handbag that can change color with just the swipe of a finger. 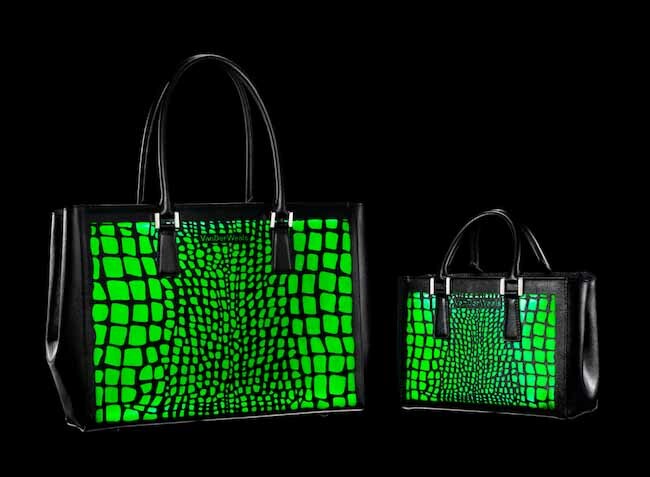 Like a chameleon changes its colors, a VanDerWaals handbag can change its color to match a look, a mood or the environment. Each VanDerWaals handbag is programmable through a free app that allows a fashionista to match her dress one minute and her shoes the next by selecting her favorite shade or taking a picture to match the exact color of her outfit. The bag can also be programed to flash a custom lightshow synchronized to a favorite song or make a recommendation for a lucky color based on the user’s birthdate. The bags are also programmable to flash a selected color when the user receives a phone call. No more digging through your bag to hear if your phone is ringing. In addition to light up and color changing capabilities, VanDerWaals handbags are also able to charge a smart phone, tablet or other portable device. Through an invisible long-lasting internal battery, users can plug the included charging cable or micro USB into their device. The internal battery power can be replenished using the provided wall charger. The internal battery will charge an iPhone 6 up to three times. The premiere collection of VanDerWaals handbags features two styles with varying patterns: the larger Caroline tote and smaller Elena cross-body satchel. VanDerWaals handbags retail between $499 and $699 and are now available for pre-order though www.van-der-waals.com with free shipping anticipated for late summer 2015, at which time the compatible VanDerWaals app will be available for download. For more information and to purchase VanDerWaals, please visit www.Van-DerWaals.com. Like VanDerWaals on Facebook @VanDerWaals, and follow VanDerWaals on Instagram and Twitter @VanDerWaalsBags.